George Zimmerman, the Florida man acquitted in the death of teenager Trayvon Martin, has been involved in another shooting incident, Lake Mary Police told local news. Zimmerman was on the receiving end of the gun, and suffered a minor injury. 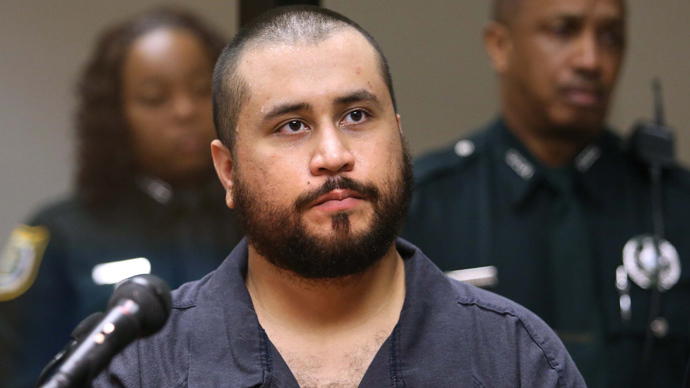 Zimmerman was injured in the face after a bullet struck his car window and glass sprayed back at him, his attorney told WKMG, following a confrontation with another driver. His injuries appear to be minor and he's already been released from a Sanford, FL, hospital, according to the chief of the Lake Mary Police Department. Police say it appears to be a "road rage incident," according to WRBW. Helicopter video from the scene shows a dark gray Honda Ridgeline pickup truck reported to belong to ZImmerman with what appears to be a bullet hole in the passenger-side window. The truck is being towed away. Zimmerman gained nationwide notoriety after the 2012 shooting death of 17-year-old Trayvon Martin in what became known as a 'Stand Your Ground' case, despite the fact that the defense did not use that argument during his trial. Monday’s shooting is not the first time since Zimmerman’s 2013 acquittal that he has had an encounter with law enforcement. In January, he was arrested for aggravated assault against his girlfriend, but she later recanted her story. He was not charged in the incident. In November 2013, Zimmerman was charged with aggravated assault with a weapon, domestic violence battery and criminal mischief following a domestic dispute with his girlfriend. Zimmerman was detained in September 2013 after his estranged wife called the police, claiming he had threatened her and her father with a gun and punched her father in the face. He was not charged in either of those incidents, either, as the victims declined to press charges.